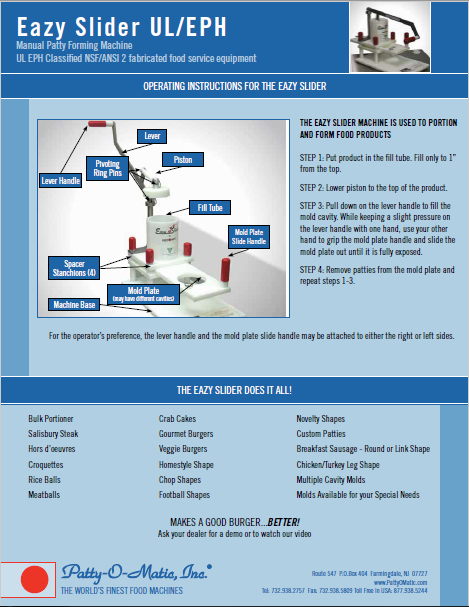 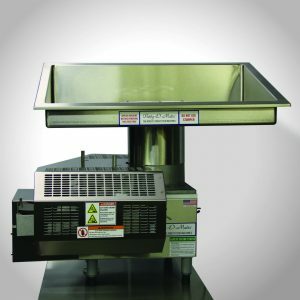 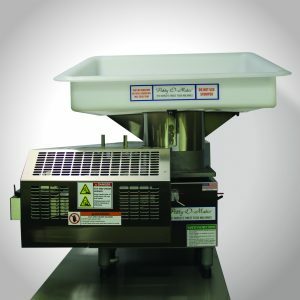 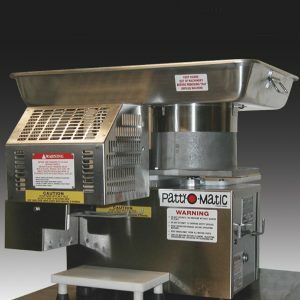 Bison Food Equipment is an Authorized Patty-O-Matic Dealer! 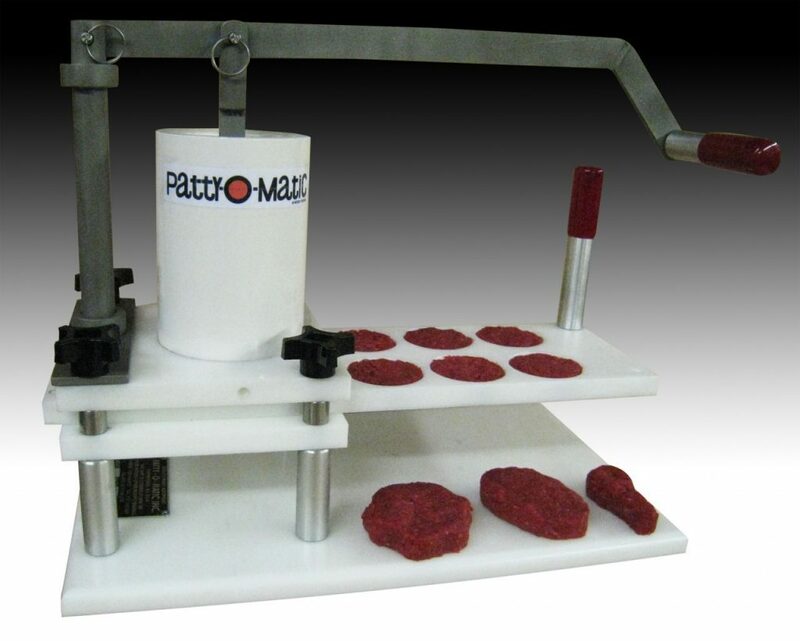 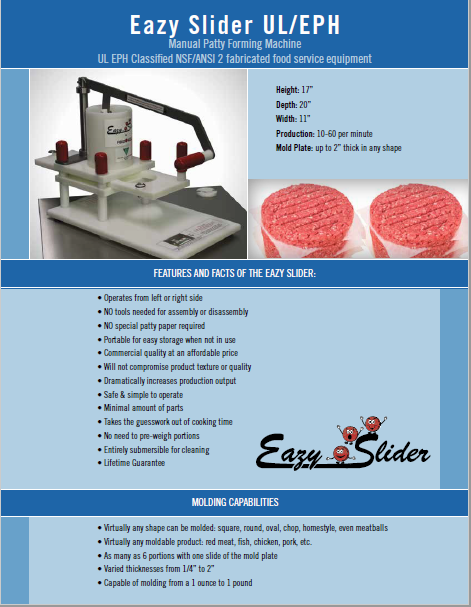 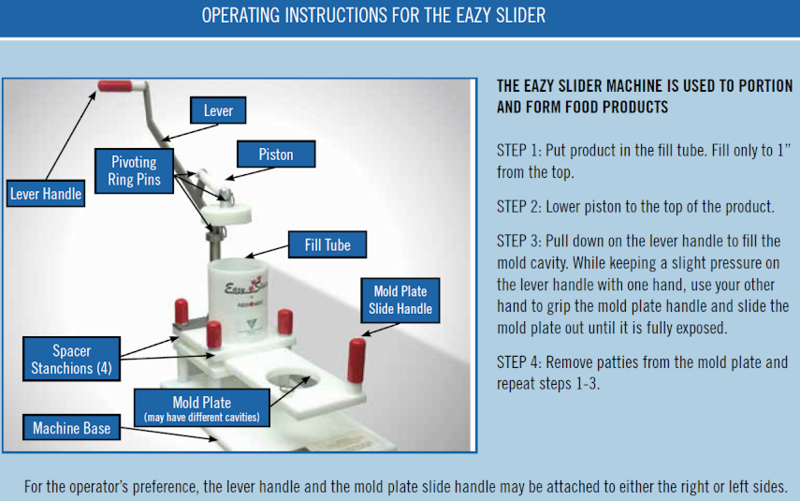 Patty-O-Matic®, Inc. has been manufacturing hamburger patty molding machines since 1968. 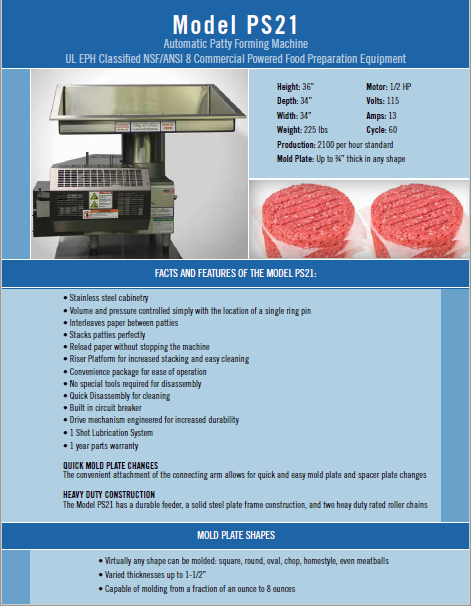 Research and development allows us to keep our edge, and lead the way in the patty machine market. 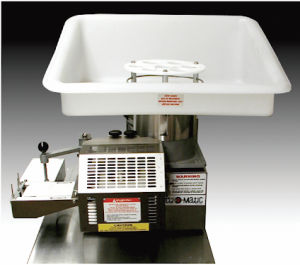 Above all, our main concern is the production of a machine that is user friendly and extremely durable. 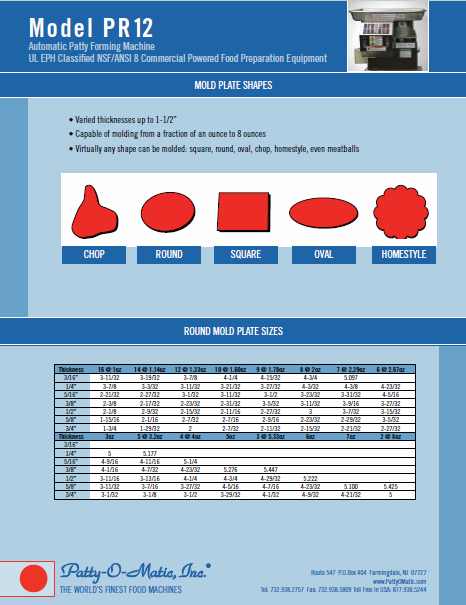 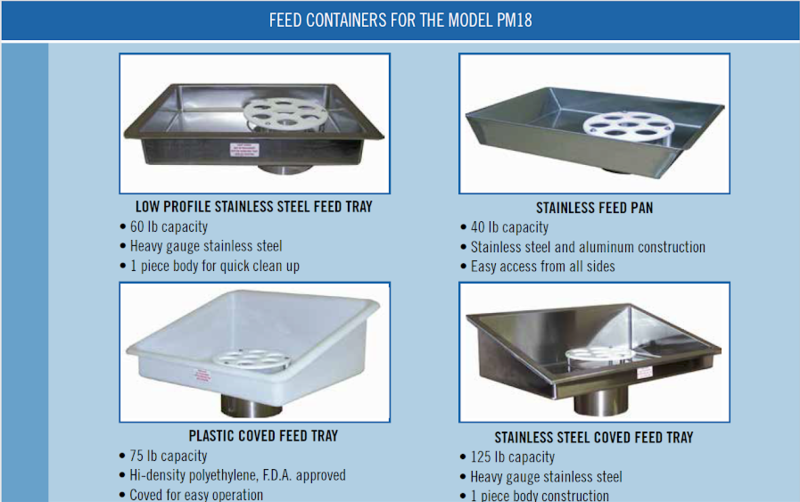 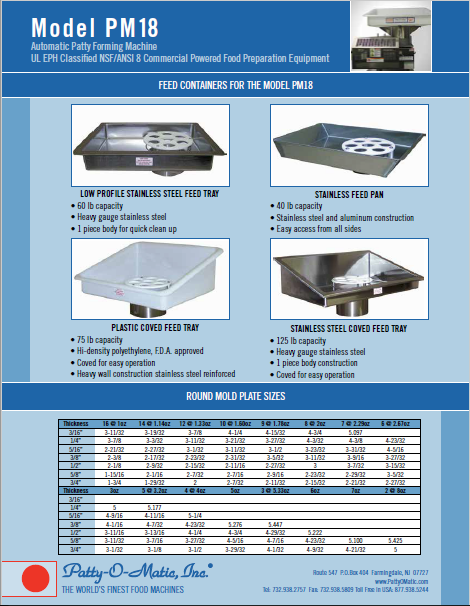 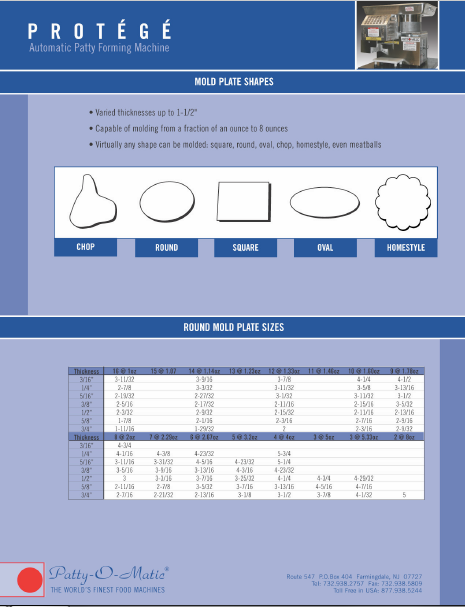 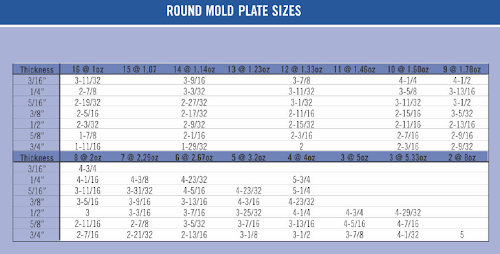 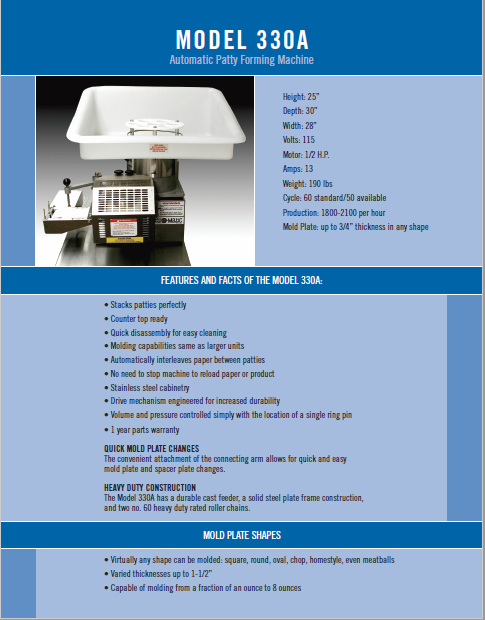 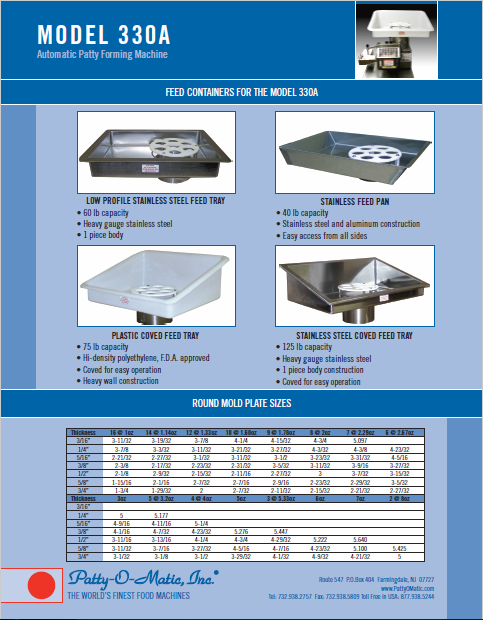 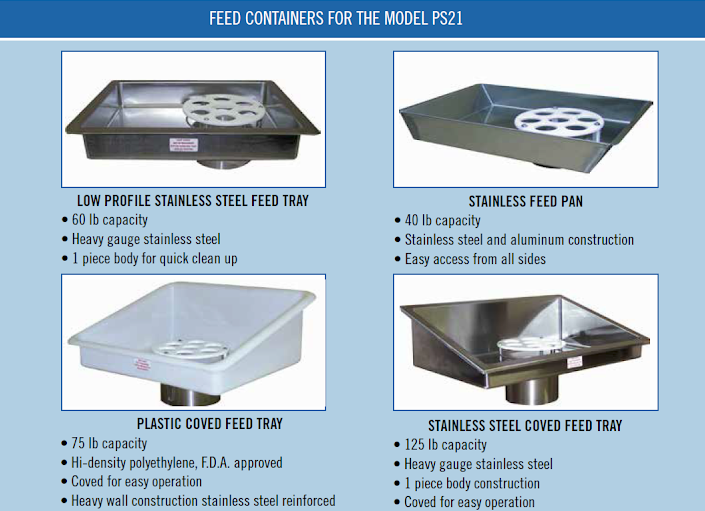 Quick Mold plate Changes – The convenient attachment of the connecting arm allows for quick and easy mold plate and spacer plate changes. 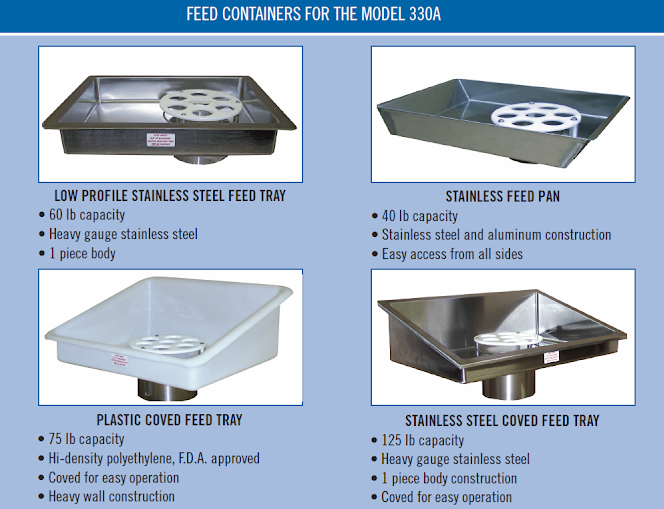 Heavy Duty Construction – The Model 330A has a durable cast feeder, a solid steel plate frame construction, and two no. 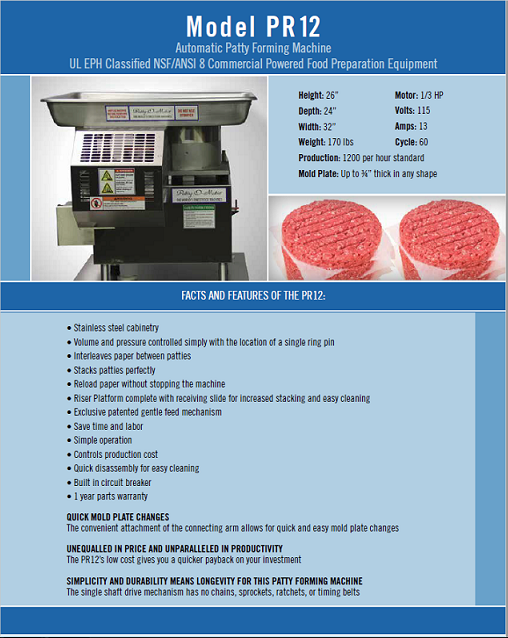 60 heavy duty rated roller chains. 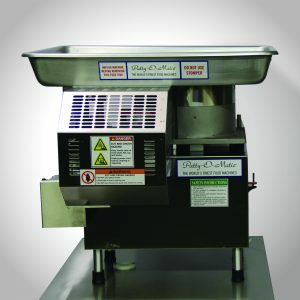 Quick Mold Plate Changes -The convenient attachment of the connecting arm allows for quick and easy mold plate changes. 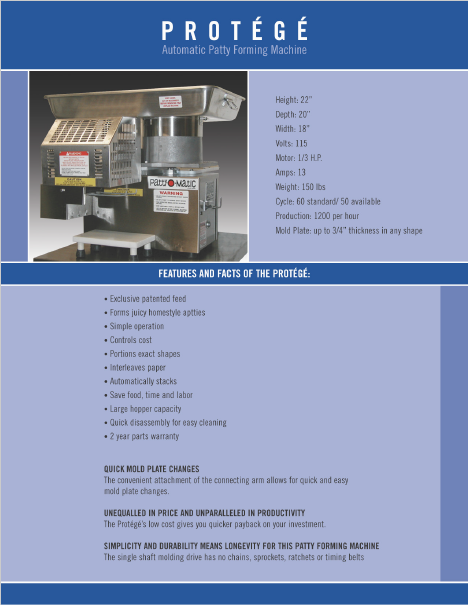 Unequalled in price and unparalleled in productivity -The Protégé’s low cost gives you quicker payback on your investment. 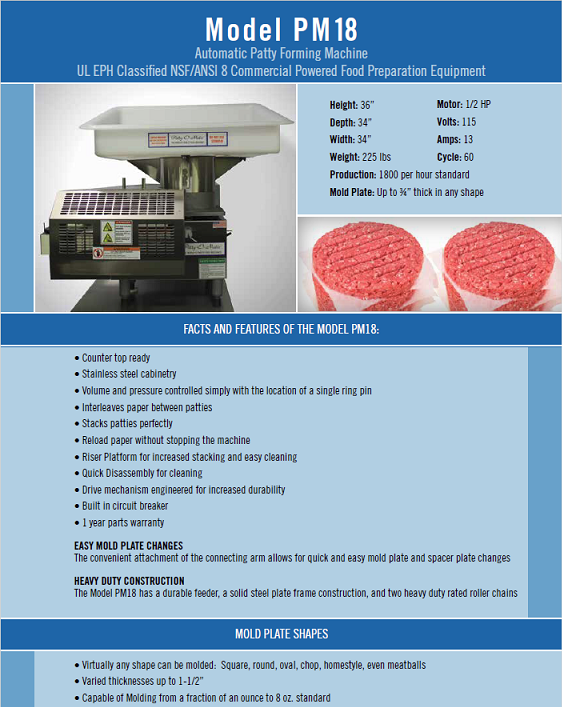 Simplicity and durability means longevity for this patty forming machine – The single shaft molding drive has no chains, sprockets, ratchets, or timing belts.